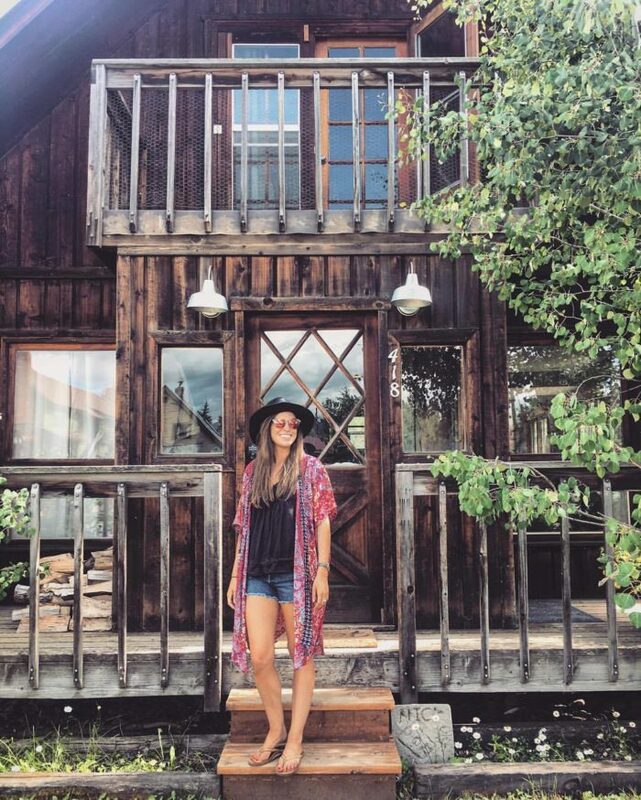 I purchased my first Kimono the summer I moved to Colorado. A turquoise and white shaw that I draped over my shoulder during telluride bluegrass to protect me from the sun. Since then I have been slowly collecting kimonos or all shapes and patterns. My style is simple. I can’t really figure out layers, patterns can sometimes overwhelm me so I tend to reach for basics like jeans and a white tee. 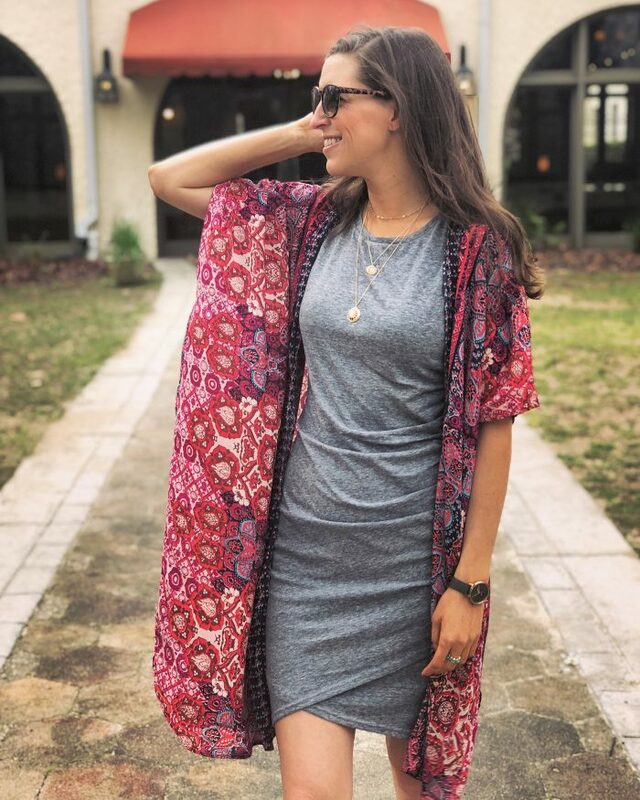 Kimonos as a way to jazz up my everyday look! 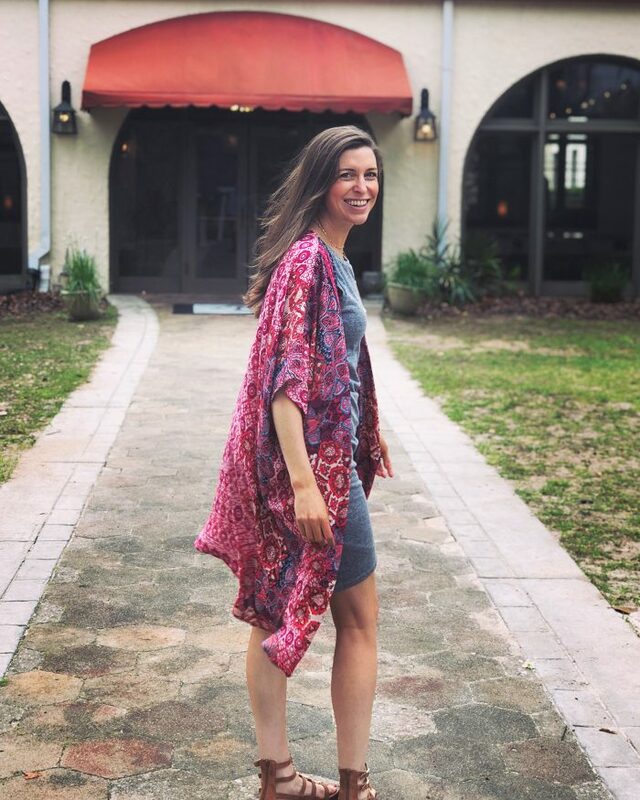 Plus they make for a great beach cover-up, and we all know I like versatile clothing! How weird does my leg look here?! I snagged this red floral one at a boutique in Crested Butte last Sumer and love the length. 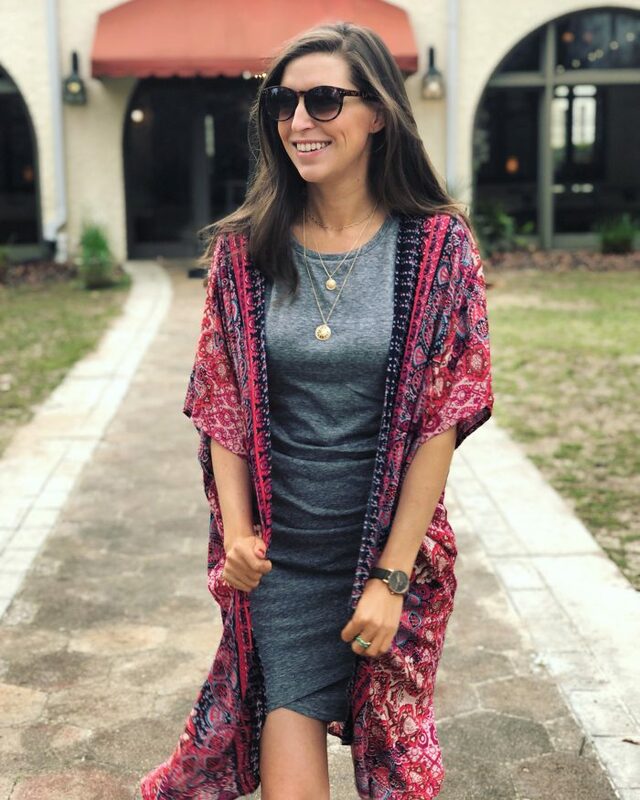 Next on my list is a floor length one like this one from Show Me Your MuMu or one of the beautiful ones from Free People.